Zara Noor Abbas who’s the daughter of veteran actor Asma Abbasi and wife of Asad Siddiqui has won the hearts of millions of Pakistanis with her graceful and delightful personality. Zara is making waves in the industry with her prodigious acting skills since 2016. She is a delight to watch in drama serials as well as the interviews. 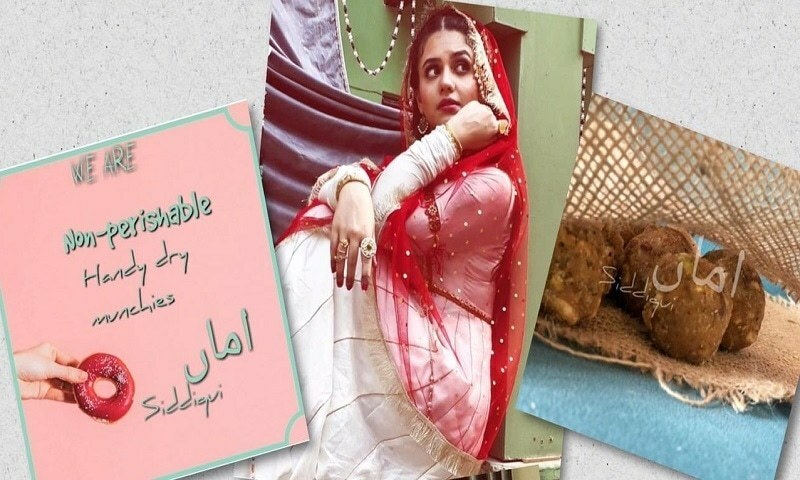 Zara made an impact on the viewers as Arsala of Khamoshi, left a piece of weak Aleena of Lamhay who turned out to be strong and holds the falling family together. Apart from modeling and acting, Zara is all set to start a new endeavor very soon. She’s starting a home based restaurant which will deliver organic ready to eat food to your door step. While talking to HIP, Zara revealed that she was recently diagnosed with a disc bulge at L4 and L5 which affects a persons’ spinal cord. During her recovery period Zara was completely on home made organic food. Yes!! We are healthy.. Munch on us!! She also added, that all the snacks were so healthy and full of energy that she might only take them with a glass of milk and that would keep her going for the rest of the day. Zara will be showcasing all these healthy organic snacks on her Instagram food blog/store from where you can order and it will be delivered to your door step. Zara says that all the food items does not include any preservatives or artificial flavoring because that would make it the exact same thing which is available in the market and that’s basically making us all sick from the inside without even letting us know and we face the consequences in the long run. She wants everyone to subtract chicken from their lives as it’s a major cause of spreading different diseases and hormonal imbalances in young women and girls. Who are we? * Home-made * Non-perishable * Handy * Dry * Munchies Based in Karachi. These are wholesome foods for people who love wholesome life in a healthy way. Zara’s new venture would definitely be helpful to a lot of people and would probably inspire and motivate more people to adapt a healthy life style.